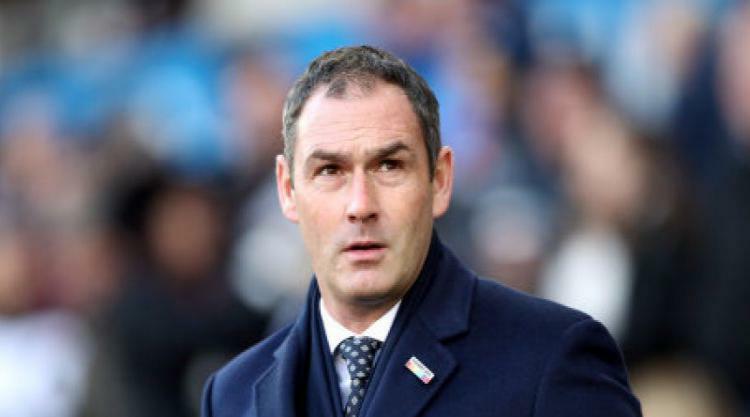 Paul Clement has embraced a daunting run of fixtures as Swansea attempt to climb out of the Premier League relegation zone. Swansea boss Clement returns to former club Chelsea on Wednesday before a weekend trip to Stoke and home games against West Brom and Manchester City. "The run of games we have coming up are arguably harder on paper than what we have had," Clement said. "But I think you have to use that to your advantage. "Those games keep you very focused and on your toes. "There certainly will not be any relaxing going into Chelsea, Stoke, West Brom and Manchester City." Swansea are one place and one point off the bottom of the table after winning only two of their 13 league games so far. But Saturday's goalless draw against Bournemouth, in which Swansea had the better of the game, was a small step in the right direction. Swansea had lost their previous four games and pressure was mounting on Clement. "It's no secret the team has been down in confidence, but the running and battling was strong and we played some good football," Clement said. "I would have expected us to be in a healthier position than what we're in. "But it is still compact between the bottom side and the middle of the pack. "You know anytime you put together back-to-back wins, or a win and a draw, you're pushing out of those danger zones. "Our form has not been particularly good, but that's the belief we have. "We did not get the three points on Saturday, but we were much closer to getting it than we have been and that is something to build on." Central defender Federico Fernandez will miss the games against Chelsea and Stoke after returning to Argentina following the death of his father. Wilfried Bony, as he did against Bournemouth, will continue to lead the side in the absence of Fernandez. Bony completed his first 90 minutes in the Premier League for 14 months on Saturday and is expected to be up front on his own at Stamford Bridge. On-loan England striker Tammy Abraham is ineligible to play against his parent club. "Wilf took the armband for the first time but he was a leader when he was here previously," Clement said of the Ivorian. "He is focused on getting fit because he has struggled, but he is in a better place. "He had a good strong 90 minutes against Bournemouth and gave us a focal point. "He got some confidence, so let's see what happens in the next two games."